Budget 2011/12. We are about to find out what Swan and Wong are made of. If next Tuesday week’s budget delivers nothing else, it might get us quieter roads. 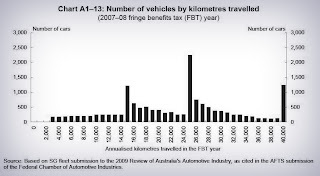 For weeks in the lead-up to the end of the fringe benefits tax year on March 31 middle-ranking executives have been driving their company-funded cars up and down hills and backwards and forwards on freeways needlessly burning fuel in order to cut tax. Accountancy firms such as Deloitte spell out the maths to clients each year in advice with headings such as “Drive your benefits further”. “Many employees may be on the cusp of the next kilometre threshold used to calculate FBT using the statutory formula method,” one such set of advice says. It’s advice drivers follow. 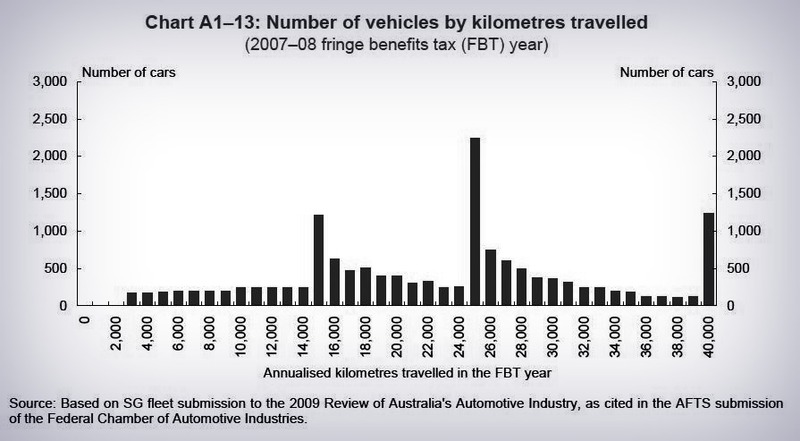 A truly shocking graph in the Henry Tax Review shows an enormous peak in the number of cars driven just beyond 25,000 km each year. “It is totally perverse. We are encouraging people to use less fossil fuels, but at the same time encouraging some to keep driving until they reach a magic number,” says Greens MP Adam Bandt who has had Treasury cost a change that would tax all personal travel in employer-funded cars at the one rate. It’d save the budget almost $1 billion over four years and clear the roads and get executives back to work. The only thing odd about the idea is that it hasn’t been tried already. Wayne Swan must have known about the problem when he drafted his first budget four years ago in 2008. He certainly knew about it when his drafted his most recent budget with a copy of the Henry Review in his hands. “It’s a phenomenon,” says former Finance Department deputy secretary Stephen Bartos. Company tax collections are running a shocking 10 per cent below last year’s budget forecasts. Those forecasts assumed an exchange rate of 90 US cents to the dollar for years to come. It’s now around 110 US cents and climbing. Away from the mining industry, exporting firms and firms that compete with imports are struggling. Financial firms are suffering for a different reason - Australians aren’t borrowing at the usual rate and are paying off debt. Even mining firms are failing to deliver the rivers of tax expected because they are expanding and investing in new mines rather than letting their profits accumulate. Many mines haven’t been able to export. The floods have probably knocked $9 billion off the economy. At the same time the government has to spend an extra $5 billion on rebuilding and compensation for the floods barely funded by an inadequate levy and measures that won’t come good for years. This year’s budget deficit looks like topping $50 billion instead of the forecast $41 billion. In time much of this will come right. Mining companies are set to deliver gigantic profits when they stop expanding (and from mid next year enhanced government revenues thanks to the new mineral resources rent tax). But Swan and Wong can’t wait. They have locked themselves into a promise to deliver a budget surplus in 2012-13 no matter what. Neither floods nor cyclone nor weak tax collections can be allowed to stand in the way. Their most recent published forecasts had a budget deficit of $12.3 billion for the coming financial year (which they will now find hard to meet) and a paper-thin surplus of $3.1 billion in 2012-13 (which they will try to better). Almost all their decisions have now been taken. Insiders say 99 per cent of what’s planned is already in the public arena. By the standards of earlier crisis budgets this one has been orderly. Swan and Wong will spend the next 10 days casting their eyes over a document already largely prepared. Not every leaked measure will see the light of day. A prostate cancer survivor, Swan says he owes his life to medical research and has strongly hinted it won’t be cut back as leaked. A plan to means test the 50 per cent childcare rebate may have also been dropped. It is widely acknowledged that the present system is a mess. Professor Alan Duncan of the National Centre for Social and Economic Modelling amused delegates at a recent conference when he used a three dimensional diagram to describe the interaction between the means tested childcare benefit and untested rebate saying it was so complex he couldn’t follow it even with his PhD in economics. Other measures are locked in. The budget will close a loophole that allows family trusts to pay income to untaxed children. It will make it harder to get on to the disability pension and harder still to stay on the unemployment benefit. And an array of measures will be hidden. The little-understood “efficiency dividend” is designed to usher in a raft of cuts that while not immediately apparent may later be felt in longer queues for government services, poorer government decision making and a virtual drying up of government jobs. Normally set at 1 per cent per year, the efficiency dividend dictates the amount by which each portfolio’s budget falls short of what’s required to allow it to keep employing and spending as it did the year before. In the election prime minister Gillard promised to lift it to 1.25 per cent for one year only. On Easter eve Penny Wong trumped her announcing a painful 1.5 per cent for two years followed by 1.25 for another two. The political plus of steadily starving the bureaucracy is that the politicians don’t need to decide or announce where the cuts should be. They delegate the anguish of making those decisions to each department and hope they pass unnoticed. When they are noticed, as some eventually will be because the cuts are cumulative, politicians can claim disingenuously that it’s not their doing. It’s been an appalling Easter for departmental officials who have been made to offer up further cuts on top of cuts they have already made, knowing they will have to offer still more in each of the following three years. A standing rule that new programs are generally funded out of existing departmental budgets makes things worse. It’s tempting for officials to make cuts where they will be noticed in order to ferment a backlash and gain relief. To guard against this the proposed cuts have to be run past government ministers who get to veto the politically sensitive ones and send their officials back to try again. It’ll mean bleak employment prospects in Canberra after years of plenty and a thriving business for the consultants who’ll be called in when the officials realise they have cut too far and need help to carry out their functions. Former Finance deputy secretary Stephen Bartos now with the consulting firm LECG can’t see a problem, “provided - and it’s a big proviso - ministers are happy to forgo regulations and services”. Asked where cuts could be made without trouble, Bartos points to the ballooning public relations sections of departments, guards at every building entrance, and continuing high travel spending. Swan and Wong will be hoping that’s how things turn out. During the election their colleagues ridiculed Tony Abbott’s plan for a 2 per cent efficiency dividend arguing it was unworkable. An awful unfairness to be revealed on budget night is that while some recipients of government welfare suffer others will escape without a scratch. Bandt wants the gift to big companies reexamined before jobless Australians are made to suffer. “We are being told we are in exceptional circumstances, that the high dollar and natural disasters have put things up for grabs. The government should be prepared to be as tough on corporate welfare as it is on the welfare of someone earning $240 a week,” he says. More than most budgets this one won’t please anyone. 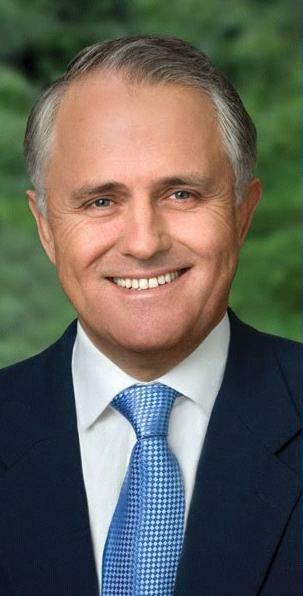 The Treasurer has said that all of the 250 promises made during the election campaign are safe. The decisions made elsewhere will require courage and common sense. Tuesday week we will get an idea of how much of those qualities Swan and Wong have. Barack Hussein Obama, to an 18 year old girl from Wichita and a 25-year old student from Kenya. Did they know, could they have guessed? The Queensland floods and cyclone and soaring international oil prices have pushed inflation to a height not topped the since the introduction of the goods and services tax, sparking talk of interest rate hikes and a fuelling a surge in the Australian dollar. The Aussie hit a new post-float high of 108.5 US cents after the the March quarter update pushed the annual inflation rate to 3.3 per cent and the quarterly rate to a long-term high of 1.6 per cent. The largest single contributor to the quarterly increase was a 9 per cent hike in the price of petrol. One quarter of the increase was due to skyrocketing fruit and vegetable prices propelled by a 100 per cent rise in the price of bananas and a 16 per cent rise in vegetable prices driven by flood-affected cauliflowers, broccoli, lettuce, pumpkins and potatoes. Some private sector economists disagreed with the Treasurer claiming the the full effect of the floods and cyclone was yet to be felt. “Although food prices were up sharply, we think there will be a spill-over into the next quarter. Banana prices rose 700 per cent and this was only partly captured in the March quarter figure. Petrol prices rose over the quarter meaning the full effect will be felt next quarter,” said RBS Australia chief economist Kieran Davies. Largely imported products such as electronic goods, furniture and shoes slid in price 7, 6 and 4 per cent. “The decreases are essentially linked to the stronger Australian dollar, so if the dollar comes off then you are going to find higher petrol prices and higher costs across the board,” said shadow treasurer Joe Hockey. Former Reserve Bank economist Paul Bloxham said the figures marked the beginning of an inflationary upswing. “If the Bank gets convinced inflation will be above target from here on there would be little reason not to hike rates sooner rather than later,” said Mr Bloxham, chief economist at HSBC Australia. Another Reserve Bank interest rise, the first this year, would bring the cash rate to 5 per cent and push most standard variable mortgage rates above 8 per cent adding a further $50 to the monthly cost of servicing a $300,000 mortgage. Treasurer Wayne Swan agreed there was a risk of “emerging inflationary pressures”. Mr Bloxham said BHP’s announcement of a massive $48 billion iron ore project in the Pilbra on top of two giant coal seam methane projects in Queensland would highten labour market and wage pressures. Its from Paulzii at LIFE ON MICHIGAN AVE.
Click on the image to open in a new window and print to carry it around in your pocket.
. Ever wonder about the choices you make along the way? Much of the government’s posturing ahead of the budget should be taken with a grain of salt according to a leading economic consultancy who says its financial position is improving by the day. Deloitte Access says higher coal and iron ore prices are outpacing the impact of the floods and cyclone making it easier rather than harder to return the budget to surplus. Treasurer Wayne Swan this week warned Australians not to expect “a repeat of the rivers of gold that flowed into government coffers in the last mining boom”. The floods and Cyclone Yasi would slice $9 billion from economic output. But Deloitte Access director Chris Richardson expects the past few months export price increases to give Australia double that. Mr Richardson is Australia’s most experienced budget forecaster outside the public sector and during the 1980s did the numbers for the government inside the Treasury. “That $20 billion flows from just a few months worth of commodity price rises, the world is now begging us to grow faster,” he said. Asked why his assessment was so at odds with the pessimism emanating from the treasurer and prime minister Mr Richardson said some of their concern was genuine but “some of it is just the usual scene setting, to prepare us for the worst so we react well on budget night”. In the lead up to the May 10 budget Mr Swan has acknowledged the next mining boom “will mean extraordinary new levels of income flowing into Australia” but has said the high dollar will be a “stronger drag on trade-exposed industries” and that cautious consumers and tighter credit will dampen the rest of the economy. Mr Richardson agreed the 107 US cent dollar would dampen government revenues but said it was climbing as a result of the new minerals prices that would boost them. Government sources have claimed that mining tax revenues are set to stall as the companies invest in new mines, but Mr Richardson says the investment would be written off against tax over time acting as a slow drain on the budget rather than a sudden hit. The mineral resources rent tax due to start next July should further boost government revenue in the year it plans for a surplus. In its March quarter business outlook released this morning (WED) Deloitte Access says low rates of immigration are Australia’s biggest economic constraint. Net migration has has almost halved from 320,000 to 186,000 in just three years. Access is forecasting one further Reserve Bank interest rate hike in 2011-12 followed by three more in 2012-13 taking the cash rate to around 5.7 per cent. Wage growth would climb to a peak of 5 per cent in 2012-14 and the unemployment rate would fall to 4.3 per cent. Thanks for that very warm welcome and thanks Barton [Green] for those words of introduction. I'm really grateful for this opportunity to talk about the upcoming Budget – the fourth for this Labor Government and the first of this parliamentary term. When someone told me the other day that this one means only Ben Chifley and Paul Keating have handed down more Labor Budgets than me, I told them it probably says more about what this job does to your health than anything else. The second Budget I described as "forged in the fire of the most challenging global economic conditions since the Great Depression". That Budget helped us avoid recession, and spare hundreds of thousands of Australians the hardship of unemployment. And the third, just 11 months ago, met "the highest standards of responsible economic management", implementing strict spending limits in an election year – something our predecessors dared not even contemplate. That Budget began the fastest fiscal consolidation since records were first kept half a century ago. This year we continue the hard slog back to surplus. That will mean some very difficult decisions and, let's face it, a political hit as well. We will also build the even bigger workforce we need to succeed during mining boom mark II, and stay true to the productivity push we championed for years of opposition and began to implement when we were first elected. As you know, in the last couple of years I have addressed this forum in the immediate aftermath of the Budget, to explain the decisions we took and the reasons we took them. 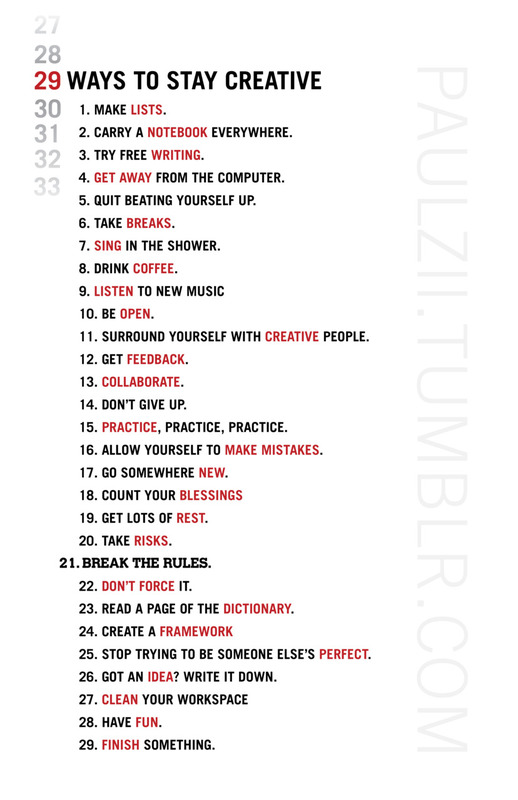 This year I want to do things a little differently. Instead of explaining decisions already taken, I want to try and give you a sense of the context in which we are putting this Budget together. I want to explain to you why that surplus in 2012-13 is so important, and why building a bigger workforce is so important. But most of all I want to give you a detailed understanding of the two main factors influencing our thinking, and playing on my mind and the minds of my colleagues just 20 days out. The first main influence on the Budget is the economic and fiscal damage done by natural disasters. It is a little over three months since Queensland bore the brunt of the most severe flooding in a generation, with many lives lost, and terrible damage to communities throughout the state. And it is less than three months since Tropical Cyclone Yasi had such a devastating impact on Far North Queensland, where I'm headed tomorrow to show support for the tourism industry. Since that time there have been other tragic events elsewhere in the world. The Christchurch earthquake in February killed almost 200 people and damaged many of the buildings in New Zealand's second largest city. And last month, Japan was hit by three tragedies in rapid succession: the earthquake, the devastating tsunami, and the nuclear emergency that has yet to be resolved. As I have said before, we should never forget that these natural disasters are, first and foremost, human tragedies. They touch us very deeply. But they have also had a hefty economic and fiscal toll as well. I want to re-cap on some of the numbers here, because the scale of these costs has inevitably had an impact on framing the upcoming Budget. The economic and fiscal costs of the summer floods and Cyclone Yasi are unprecedented. They will slice an estimated $9 billion from economic output, with our mining and farming sectors the hardest hit. The natural disasters at home will subtract around ½ percentage point from GDP growth in the current financial year. On top of that, the natural disasters in Japan – our second-biggest trading partner – are expected to subtract up to a further ¼ percentage point from growth. It's clear that the early years of the Budget will bear the brunt of these disasters – both from the rebuilding and recovery costs as well as the reduced revenues. Natural disasters are the principal reason behind the softer economic conditions we're forecasting this year. They're also the main reason we'll have bigger deficits in the early years than we had forecast in the mid-year budget update. I want to spend a minute explaining the reasoning behind this. As you know, we have already made room for the rebuilding and recovery costs by finding savings, reprioritising spending and introducing a modest temporary levy. And while we've put in place these savings over the budget estimates period, the rebuild task is immediate with the bulk of the budget impact falling in the next couple of years. On top of this we're faced with revenue write-downs from short-term economic weakness – this will also hit the bottom line directly. But unlike the costs of the rebuild effort, we will not offset what is only a temporary hit to revenue. Of course, not all the damage done to our Budget is from the natural disasters. The fiscal situation is also made harder by some of the continuing effects of the global financial crisis and a high dollar. These factors, on top of a cautious consumer and a subdued recovery in household wealth, are just some of the driving forces behind Australia's patchwork economy. All of these factors have meant that budget revenues for this financial year are tracking well below what was expected when we put together the mid-year budget update late last year. I've said before that Commonwealth tax collections over the first eight months of this financial year are down around $4.5 billion, but the reality is that figure could be even higher by the time we finalise the May Budget. These short-term conditions pose big challenges for our Budget, but they will not knock our economy off its medium-term path. The medium term story is a much more positive one. Our economy is resilient. We will withstand the impacts of the natural disasters just like we withstood the GFC, and our economic fundamentals remain very strong. We have low unemployment and strong job creation. More than 300,000 jobs were created in the past year, 98 per cent of them full time. And we are situated in the fastest growing region in the global economy in the Asian century. The changing of the guard that we are witnessing – from the West to the East – has obvious implications for Australia and so our economic strategy shifts with it. Recall that more than a quarter of everything we sell overseas goes to China and India. We've already seen significant increases in both the prices and volumes of our iron ore and coal exports. Our terms of trade have risen to their highest sustained level in 140 years and we're witnessing an unprecedented boom in mining investment. Based on a survey of firms' current plans, investment in the resources sector next financial year will be more than double what it was last financial year. Mining boom mark II is gathering pace and it will mean extraordinary new levels of income flowing into Australia, building our national wealth and incomes. But it will also test the capacity of our economy and our workforce. It will benefit different Australians and businesses in different ways. And it will bring with it structural adjustments for our economy equal in magnitude to any we have seen before. As we've already seen, the exchange rate is likely to remain high, putting immense pressure on some industries. And it will become harder and harder for employers to find the people they need for the work they've got. You'd be forgiven for thinking that current boom conditions are just a replay of what occurred before the global financial crisis hit, and there are clearly some common elements. Both episodes have led to strong growth in incomes, lower rates of unemployment, increased capacity pressures and a high exchange rate. But this phase of the mining boom, mining boom mark II, will be very different to mining boom mark I, the boom my predecessor presided over in the middle years of last decade. Today I want to explain these differences because they matter greatly for our Budget. First of all, mining boom mark II carries with it some of the legacies of the GFC. This is a feature of the economic landscape that obviously didn't apply to mark I. As I touched on earlier, a striking indicator of this is the current caution that consumers are exercising. Despite strong job creation and incomes growth, consumers are now saving much more of their income and borrowing a lot less. This is not surprising given what the global economy has come through, with the memory of the GFC and stock market falls still in the minds of many households. This is being reinforced by investor caution and what has been fairly subdued recovery in household wealth. This is a dramatic change relative to mark I, where strong consumption growth was accompanied by negative household savings rates, and rising indebtedness fuelled by rapidly rising asset prices. Of course, it's clear that some of this growth was unsustainable, which explains why we've seen such a significant shift in behaviour under mark II. Just consider trends in personal credit. It rose by almost 60 per cent in the four years preceding the crisis. Since then, it has fallen by more than 5 per cent. Growth in household consumption is expected to be almost a full percentage point lower over the budget forecast horizon than it was during mark I. On top of this, tighter financial conditions since the crisis are also reducing growth prospects for business. Many small and medium-sized businesses are under pressure from greater borrowing costs and reduced access to credit. Annual growth in business credit has slowed from 14.5 per cent during the first boom, to negative 2.2 per cent so far under the current boom. Part of this also reflects the fact that businesses, like consumers, are taking the opportunity to consolidate their balance sheets. This is a natural response to recent events in the global economy and is not a bad thing – it helps to make our economy more resilient. The strength of the exchange rate marks another important difference between the two mining booms. During mining boom mark I, the average level of the exchange rate was only 78 cents against the US dollar, compared to an average of 98 cents under the current boom. So the exchange rate, which is now hovering at record highs of around 105 cents, is having a much stronger drag on trade-exposed industries this time around. Sectors like tourism, education and manufacturing are all feeling the threat of international competition far more acutely. There is now a much larger divergence between the performance of the mining and non-mining sectors of our patchwork economy. While corporate profits outside the resources sector grew solidly during the first boom, they have been very weak in the early stages of this boom. Over 2010, mining sector profits grew 59 per cent, while non‑mining profits fell slightly. A similar story can be told for business investment. Mining investment intentions for the next year have, for the first time, outstripped private business investment plans for the rest of the economy. Think about that: if realised, it will account for more than half of total private business investment in the economy, despite representing less than one-tenth of total production. This tale of two booms brings me to the second major influence on the Budget, and that's the implications of this very different boom on revenues. During mining boom mark I, revenues were boosted by a sharply rising terms of trade, rapid credit and consumption growth, rapid asset price growth, and solid corporate profitability across the board. Between 2004 and 2007, tax revenues were revised up by a massive $334 billion cumulatively, over the budget estimates. The current boom starts with an already very high terms of trade. And as greater supply of global commodities comes online, we should expect to see the terms of trade fall gradually over time. This means we won't see growth in nominal GDP at anything like the rates we saw during the first boom. And that means revenues won't grow at the sorts of rates we saw during the previous boom. Now, there is another, more subtle influence at work which is also putting a brake on tax revenues, and which is best illustrated by this stunning fact: over the past decade the mining sector has accounted for around 20 per cent of total corporate profits, but only 10 per cent of company tax revenues. That's the natural result of the mining sector being highly capital intensive, with a rapidly growing capital base, which translates into rapidly growing deductions. Added to this is the subdued recovery in household wealth, with the stock market yet to recover to its pre-GFC levels. This means that capital gains taxes are not expected to reach the levels seen in the first boom for some years yet. All this brings me to the central point of my speech today: that mining boom mark II will have all of the pressures of the first boom, without the surge in revenues. In other words, while revenues will be much more modest than in boom mark I, this does not diminish the massive influx of activity in the private sector that will push the economy to its capacity and which will demand an intelligent policy response. So we frame this year's Budget against a dual backdrop: natural disasters and softer economic and fiscal conditions in the near term, and a return of boom conditions that will stretch our economy's capacity over the coming years, test the capacity of our workforce, and place added pressure on wages and prices that we must not compound. The right thing to do in these circumstances is to make room for the expansion in private activity – which will boost incomes and deliver jobs for the future. I like to sum it up this way: if we are going to be Keynesians in the downturn, we have to be Keynesians in the recovery too. Just as it was right to step in and support demand when the private economy was in retreat, it is right to step back when private demand is strengthening. As the Prime Minister and Minister Wong and I have repeatedly said, that means tough decisions are required. Restraining spending and budgeting for surpluses will ensure that we don't compound the inevitable capacity pressures that will emerge with mining boom mark II. I want to be upfront about the fact that some of these decisions will be unpopular. They are not decisions we take lightly. We take no joy in making these cuts to the Budget, but we take comfort from knowing they are the right and responsible thing to do for the economy. The easier alternative is to put it off for later but that means harsher cuts that hurt the people we represent even more. What's happening in the US is only another reminder why it's so important for countries to have a credible fiscal consolidation strategy. While we adopted our strict fiscal strategy at the height of the GFC, the US is still struggling to put one in place now. President Obama understands the importance of doing this, and the consequences of failing to act – both for the global financial system and for the livelihood of millions of people around the world. This comes on top of sovereign debt concerns in the periphery of Europe, which also cloud the economic outlook. For Australia, taking difficult decisions now to bring the Budget back to surplus in 2012-13, will put our economy on a stronger footing. At the same time, we need to be doing all we can to expand our productive capacity. We need to make sure that we not only have the workers for the boom, but that we are providing opportunities for all Australians to benefit from it. It's why we as a Government will do what we can to break down barriers to participation – both in the workplace and the community. That means building people up, recognising that if we do more to harness the talents of more Australians we'll all be richer for it. Powering our economy through economic and social inclusion. These are familiar ideas from the book I wrote a few years ago and the important speech the Prime Minister gave last week. We're also on about lifting productivity across the board – through infrastructure investments, tax reform, and putting a price on carbon so we can smoothly transition to a low-pollution future. I'm very conscious that the story of our fourth Budget is a very difficult one to tell. It combines short-term weakness, medium-term strength, and boom conditions without the boom revenues. We can't and shouldn't buy support for this Budget, like our predecessors did. There won't be rivers of gold like they wasted. So don't expect to see billions and billions in pro-cyclical policy measures that will compound the inflationary pressure of this boom like they compounded the inflationary pressures of the last one. That doesn't mean we're not conscious of cost of living pressures – we certainly are. We know that for communities that are feeling these pressures acutely, talk of a boom seems divorced from their reality. We know that despite the gathering pace of this investment boom the benefits have not reached all Australians in our patchwork economy, and so many people are still feeling the pinch. That's why we delivered three rounds of tax cuts and an historic increase in the base rate of the pension. It's also why we're going to deliver important policies to ease these pressures – like extending the Education Tax Refund, giving more money to parents of teenagers and disabled kids, introducing the work bonus for seniors, and the like. The onus is on us to do things better than our predecessors did when they sat back and squandered the benefits of boom I. Unlike our predecessors, we won't be recycling boom revenues back into the economy and fuelling demand in an economy rapidly approaching full capacity. We won't pump up demand, without investing in supply. We won't sit back and do nothing while infrastructure bottlenecks build up and widespread skill shortages start to bite. And we won't allow short-term populism to overtake the fundamental responsibility of any government to act in the nation's long-term interest. Instead we will ambitiously pursue an agenda that is right for our economy, including tax reform and the carbon price we're working so hard on as well. Putting a price on carbon is a fundamental economic reform for our future. It will preserve the long-term competitiveness of Australian industry, keeping us at the forefront of new clean technologies. Just like floating the dollar and tearing down tariff walls helped unlock economic opportunity – so too will a price on carbon. It will mean that our economy will grow, and pollution will not. Given the composition of the Parliament, the easiest thing to do would be to have sat on our hands and done nothing. But we were not prepared to put our short-term political interests ahead of the long-term national interest. We are not prepared to leave the heavy lifting to future generations. It is the same with this Budget. Most people that talk to me about putting together the Budget seem to assume that there is something essentially cold and robotic about the process. They have an image of a Treasurer that shuffles numbers around with little or no regard to the impact the end result will have on people's lives. Nothing could be further from the truth. The decision-making process is arduous and it can even be emotional – especially when it comes to making difficult saves. In ERC meetings I sit across the table as colleagues argue for programs they passionately believe in. It is my job to take into account the whole of government economic picture and it's their job to do their very best to make sure I understand the importance of the projects they are proposing or defending. It is often necessary to say no to your colleagues but it is rarely easy. The Budget is obviously important to the Government and my party. But spending cuts are rarely vote winners. This will be a tough Budget for one reason and one reason only – it is what needs to be done for the economy and for the country. On a personal level, it certainly isn't easy making difficult saves. I am in politics because, as a young man, I came to believe that for some in our society, life can be cruel and unfair. I believed then – and I believe now – that there are people who need a bit of compassion, a helping hand from the rest of us. I also believe that it's important to reward the hard-working Australians that are so fundamental to our nation's prosperity. But what I've learned is that without getting the broader economic settings right, without a strong, sustainable economy, none of this is possible. So we'll be doing things in this Budget that won't be popular, but they'll be the right thing to do. They'll be consistent with our Labor values, driven by the recognition that leaving this task to future generations will mean even more pain for those doing it toughest in our community. This is a defining moment for our economy, and we are on the cusp of something great if we keep getting the policy settings right. Just as we can rebuild Queensland after the worst natural disasters in our memory, we can build a new generation of prosperity in the Asian century. Not just for a fortunate few, but for the great bulk of Australians who are prepared to work hard and make our economy even stronger. So thanks for the opportunity to explain the context in which we go about this difficult task. How do you start a long-running radio segment? Here's how I did it in August 1992, with this two-page proposal to the then executive producer of Life Matters Jo Upham and her new presenter Geraldine Doogue. I found it in my garage over Easter. Home Economics as it came to be called was on air every Monday for a decade until December 2003. I alternated with Eva Cox, and other economists filled in during the two years I was in Japan. Looking back I am surprised at my certainty the segment was needed and would work, and how right I was. This was years before publishers caught on with books such as Freakonomics. It reads as if I was younger in 1992, but not much. Here's a super-quick, super-good fix. The ABC has already made a riveting drama series about the Packer dynasty. 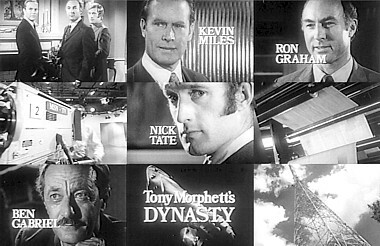 Broadcast in 1970 and 1971 in black and white (naturally) Dynasty was way out of the ordinary in the quality of the scripts (by Tony Morphett). It used a "fictional" Sydney newspaper, magazine and television empire to deal with issues that were alive at the time such as the Vietnam War, Asian dictators, Australia's anti-apartheid demonstrations, abortion, defecting soviets, unsafe cars and so on. Two of the finest scripts were written by Bob Ellis. I remember lines from Dynasty even now. And let me tell you, the acting was several notches above Homicide. So here's my idea. Please message @abcmarkscott. While the Paper Giants buzz is still hot, spool up the tapes and rerun Dynasty on ABC2, as a reminder of what life was like then and how bold real-time political/corporate drama once was. 1. One-inch tape deteriorates. If the episodes haven't been transferred to film some may be lost, or literally lost. Tony Morphett's next blockbuster Certain Women was to have been sold to the BBC, but (as I heard it) the deal fell through because the ABC lost the tape of one of the episodes. 2. "Clearing rights" seems to take forever and often can't be done. The early acting contracts never envisioned replays decades later. Some of the actors or their estates will be hard to find. In the early 1990s I worked next to the team who were setting up the ABC cable television channels (yes, there were to be such things). The idea was simple... run old programs. But getting permission, from so many hard-to-trace people... let's just say it couldn't be done quickly. So I recognise that, even if @abcmarkscott gets on the case as soon as work resumes Wednesday, nothing will go to air for a while. This needn't matter. The Paper Giants buzz will be around for a while. And I recognise that most probably not every episode will be able to be aired. This needn't matter. There are 24 episodes, all self contained, all extremely good. Thanks to Don Story and CLASSIC AUSTRALIAN TELEVISION. He ain't our prime minister, who delivers barely-coherent shockers. To take home, open this post in a separate window and press "print"
To that anniversary perhaps we should add another pending one. In September this year it will be a decade since the Twin Towers were brought down by the terrorists Al-Qaeda and what has been described as the War against Terror began in earnest. In 1986 Lucy and I represented a former MI5 officer, Peter Wright, in his efforts to publish his memoirs “Spycatcher”. These remarks by the Prime Minister which were echoed by her Attorney General were particularly regrettable, not simply because she was so obviously in error from a legal point of view, but whatever one may think of Assange he is an Australian citizen. In an effort to get the book published before a trial we offered it up to MI5 to be blue pencilled so that if there were any matters impacting on current operations they could be excised. They refused to co-operate – it was all or nothing. It is worth noting here that many people, including myself, expressed great concern that these reports would compromise current operations and put lives at risk – especially those of people assisting the United States. This anxiety is relevant to all the Wikileaks revelations and is particularly so when such a large amount of documentary material is released at once. With the best will in the world, how can so much material be safely blue pencilled to ensure lives are not put at risk, and even with names deleted who can say sitting in an office in London or Paris that there is not enough information in a cable or a battle field report to enable our enemies to identify an individual and then kill them? In October, Wikileaks released 400,000 battle field reports from the Iraq war similar in content to those previously released from Aghanistan. When WikiLeaks approached the Administration they responded with a letter from the department’s legal advisor, Harold Koh which stated they would not engage in any negotiation regarding the release of illegally obtained US Government classified material and demanded they not publish anything. In doing this the government was seeking to allocate Assange to an entirely different legal framework than the mainstream media organisations it has so often cooperated with. A second category is material which is, in my father-in-law’s memorable phrase, “a penetrating glimpse of the obvious.” It is amusing to read an Ambassador’s account that the Italian Prime Minister is over fond of young ladies or that the Libyan dictator has a voluptuous Ukrainian nurse, but hardly news. The revelations about Labor MPS getting ready to roll Kevin Rudd fall intho this category too. It is not news to read an account from an American ambassador about official corruption in Mexico – although it must be recognised that the embarrassment caused by this cable, true or not, resulted in a very able diplomat having to return to Washington. Are Assange’s motives relevant? I don’t believe there is much, if any, legal relevance . If good motives are no defence – a journalist who taps a politician’s phone to find evidence of corruption is still breaking the law – I cannot see how bad motives (a personal grudge) would be relevant other than in the context of malice in a defamation case. Australia’s economic history over 223 years of European settlement is more complicated than a simple list of commodity booms and busts. But there is no question that the early establishment of successful agricultural, and then mining, industries powerfully influenced our economic and social development. Of course it was Victoria’s gold rush which explains why Melbourne's nineteenth century urban architecture, both public and private, was so much more opulent and magnificent than its counterparts in Sydney. So from very early on, beginning with wool in the 1820s, commodities have driven our exports, been our key attractor of foreign capital, and - it must be said - contributed most directly to the volatility of our economy. As the current resources boom reminds us, this remains true today, which is unusual for an advanced economy. Of the OECD countries only Australia, Canada, New Zealand and Norway have large commodity sectors, and only Norway is comparable in the extent of its dependence upon resources (in its case oil and gas, about 19 per cent of GDP and half of exports). Let me turn to the current boom. We all understand it is being driven by rapid growth, urbanisation and rising living standards in Asia (particularly China and India) which have expanded the global appetite for resources and other commodities. Since around 2003, growth in demand for many metals, mineral ores, fuels and more recently some foodstuffs has outstripped the rate at which supply capacity is expanding, and prices have risen sharply. How sharply? Well, the Reserve Bank of Australia’s commodity price index (which focuses on items Australia produces) tripled between 2004 and 2008. It fell by a third during the global financial crisis, but then rebounded strongly from late 2009. In March the RBA index was up 41 per cent from a year earlier against a basket of currencies, up 32 per cent in Australian dollar terms - and roughly three and a half times its average level between 1990 and 2003. Some of the heftiest price gains have been for bulk commodities where Australia is a key global supplier: iron ore and coking coal, both used to make steel, and thermal coal used to generate electricity. In addition, rising prices prompted many resources producers to invest heavily in extra Australian capacity during the past decade - capacity which enabled export volumes to more than double, in the case of iron ore.
Higher prices and rising volumes have driven extraordinary growth. Between 2000 and 2010 Australia’s annual resource and energy exports increased by a factor of four, from $45 billion to $176 billion. Annual exports of coal and iron ore increased by a factor of eight, from $12 billion to $99 billion. Bear in mind this was over a decade where the value of the Australian dollar doubled in US dollar terms. Obviously those who work in resources-related fields (or earn dividends from mining companies) have more to spend, which has a multiplier effect. Governments collect more corporate and personal income tax and resource royalties. Record commodity prices and flat or falling prices for many manufactures, particularly consumer technology, mean Australia’s terms of trade (the price of exports relative to imports) are at their highest sustained level in history. And of course the Australian dollar is at higher levels than at any time since the float. So purchasing power and real incomes are higher through the whole economy - by as much as 13 per cent (almost $200 billion this year), according to the most recent estimate of the Reserve Bank. · What impact will a large and sustained increase in the exchange rate, driven by higher earnings from commodity exports, have on industries that are trade-exposed but not directly or indirectly involved in resources? Put another way, to what extent can we (or should we) protect manufacturing, agriculture, education services and tourism, for example, against "Dutch disease"? · How can our economy accommodate further rapid growth in the resources and energy sector, given near-full employment and the immense scale of the investments planned for the next few years in LNG, iron ore and coal? And how can public policy make our economy more flexible and structural adjustments less disruptive? · What should we do with the large boost to national income we are currently experiencing - should it be saved or spent? By the public or private sector? Over what time horizon? · And of course, hanging over our response to all of these matters lies the most challenging question of all: How long will the current boom persist, and how will Australia’s economic prospects look at its conclusion? These are the central economic policy questions of the next few years. Unfortunately, they are not questions that have been canvassed in Canberra very often up to this point, other than during Mr Rudd’s bungled attempt to introduce his unworkable initial version of the resources rent tax and Ms Gillard’s hasty negotiation of her alternative. In the remainder of my remarks I want to focus on the question of how we should deal with the additional income the boom is creating. The answer depends heavily on whether this income is permanent or temporary - and if it is temporary, then how temporary. It seems very likely that a fairly large part of the recent gains will be relatively short-lived. Despite the strength of emerging Asia, its economies are not immune to cyclical ups and down - not even China. And there is a lot of coal and iron ore around the world. The early 21st century boom has already elicited a supply response and will continue to do so - not least via capacity expansion in Australia, but also in Brazil, Guinea, Mozambique, Mongolia and many other places. So very few economists see the terms of trade remaining at their current lofty levels. The next year or so may be as good as it gets - although that is what everyone said last year, only to be proved wrong. On the other hand, the global economy has evolved since the turn of the century, with many more developing countries enjoying sustained growth than previously and as a consequence most market analysts predict Australia’s terms of trade will remain materially higher than they were in the 1980s and 1990s for some time - at least a decade, and perhaps two or three. That is also what our top officials guardedly offer as their current best guess. But neither they nor we can be certain - and in any case history tells us that whatever broad direction commodity prices take in the future, they are likely to remain fairly volatile. Given the probably temporary nature of the income boost we are experiencing, and the fact that it arises from the consumption of finite (but abundant) resources, over recent months there have been numerous suggestions that Australia create a sovereign wealth fund. This would be a publicly-owned vehicle to save some of the extra income from the boom and smooth consumption over time. Many countries, particularly those dependent upon single finite resource commodities, already have such funds - globally they are estimated to hold up to $4 trillion in assets. Some of the oldest are located in the Gulf and manage oil revenues. The Abu Dhabi investment Authority is the largest, while the Kuwait Investment Authority, founded in 1953, is perhaps the best known (in part for trying to take control of BP in 1988, prompting an uncharacteristic intervention in the marketplace from Mrs Thatcher). Another group of sovereign wealth funds such as China Investment Corporation, Singapore’s GIC, and Korea Investment Corporation essentially seek to lift returns on official foreign exchange reserves in countries which have accumulated large holdings. Perhaps more useful models in the Australian context are funds such as Norway’s Government Pension Fund, Chile’s Stabilization Fund, and the wealth funds operated by Alaska and Alberta, all of which adhere to more stringent standards of transparency. The Norwegian fund manages net inflows from the nation’s government-owned oil and gas sector. It invest all of its assets (currently around $550 billion) offshore and hence to an extent ‘sterilizes’ the upward pressure on the Norwegian exchange rate arising from commodity earnings. Simple and fairly strict rules govern the Norwegian Fund - only 4 per cent may be withdrawn and used for budget expenditure each year, although this rule was suspended during the GFC. A different set of rules (and political controversies) have arisen around its investments - munitions makers, tobacco firms and various other entities are off limits. A different model is Chile’s Stabilization Fund, whose role is explicitly framed in terms of stabilizing the extremely volatile swings in income created by Chile’s heavy dependence on copper exports. The Stabilization Fund automatically receives all budget surpluses above 1 per cent of GDP (a separate pension reserve gets the first 1 per cent). This is in the context of Chile’s legislative requirement that the budget be in structural balance; the cyclical budget surplus rose as high as 9 per cent of GDP in 2007 as copper prices peaked. While it is not explicit, ‘stabilization‘ in Chile seems to be conceived in terms of years or multi-year cycles, as opposed to the ‘savings’ and clearly intergenerational timeframe of the Norwegian fund. During the GFC, almost half of the funds it had accumulated over the previous three years were withdrawn. Of course Australia already has a sovereign wealth fund - the Future Fund, established by the Howard Government to meet unfunded pension liabilities to former public servants and defense employees arising after 2020. Managed by David Murray since 2006 and financed by budget surpluses and the last tranche of Telstra, the Fund has assets of $72 billion. That compares to a current target asset level of $109 billion needed to requite the obligations it is expected to cover - so David and his successors still have work to do over the next nine years. Occasional flaps about its Telstra stake aside, the Future Fund has shown that with clear rules, transparency and a well-understood mission it is possible for public investment vehicles to operate effectively and with bipartisan support in Australia. I think it is fair to suggest that support for an Australian sovereign wealth fund to save some of the income being currently generated has been fairly broad. Business supporters include Ralph Norris at the Commonwealth Bank, Mike Smith at ANZ, Fairfax chairman Roger Corbett and Tabcorp’s Elmer Funke Kupper, among many others. It is probably the case that some business support reflects discomfort the exchange rate is creating, and expectations that an Australian fund might, like the Norwegian fund, invest exclusively offshore. Whether ‘sterilization’ would be effective in an economy such as Australia, which historically imports capital and has the fifth most heavily traded global currency, is far from clear. The OECD, in its most recent country note on Australia, urged the creation of “a reserve fund endowed with all resource tax revenues to assist in shielding the budget and the real economy from the effects of revenue volatility”. It rested its case on the fact that commodity and economic cycles are generally similar, and if commodity-driven revenues are spent or given to households as tax cuts at the time they arise, “fiscal policy risks being pro-cyclical”. This, of course, is the critique leveled at the Howard Government’ last term between 2004 and 2007, when revenues from higher terms of trade started to flow. Critics claim that having paid off Australia’s public debt, the Government chose to cut taxes near the top of the cycle rather than have to defend budget surpluses of more than 1 per cent of GDP. There is a kernel of truth here, although not nearly as much as John Howard’s critics claim - I will return to this shortly. The Premier of Western Australia, Colin Barnett, also recently revealed himself as supporter of a wealth fund - a West Australian wealth fund, that is. He said he was considering funding such a vehicle out of State budget surpluses. The Premier neatly summarized a common argument for such funds: "Given that we are dealing with finite resources, it does make sense to preserve some of that wealth for future generations." Glenn Stevens has also spoken about the possibility of a stabilization fund, although he has not directly advocated it. The Governor suggested such saving might ideally be in assets whose returns were uncorrelated with the source of the income. The rules, governance, ultimate economic objective, investment mandate and transparency of any wealth fund would indeed be critical issues to resolve. But the Future Fund has shown such issues are far from insurmountable. There are legitimate arguments against a wealth fund. Not least is the eternal but powerful point that all else being equal, it is better to leave money in the hands of private citizens and corporations than in the clutches of governments. John Roskam at the IPA has made this point forcefully recently. In that context it is worth pointing out that Australians households are currently voluntarily saving considerably more than they were a few years ago, although that arguably has more to do with the jolt the GFC provided a few years ago rather than any sense that current conditions can’t last forever. In the same speech he also suggested smoothing could be achieved by investing in human or physical capital or via contributions to individual superannuation accounts (as the current Government proposes) although I note these do not necessarily resolve the problem of pro-cyclical spending. Let me touch upon one more argument against a wealth fund, particularly if it has a broad investment mandate. The only thing people hate more than losing their own money is having their government lose their money. During the turmoil of 2008 Norway’s fund lost 23 per cent of its value, while Singapore’s Temasek lost 31 per cent. Both funds have since recovered, happily for politicians in each country. On balance, after weighing the arguments, I believe that the time has come for Australia to create a new sovereign wealth fund. A key question is whether its objective should be to smooth government spending over a ‘stabilization‘ horizon spanning years-to-decades (Chile) or rather a ‘savings’ timeframe of decades-to-centuries(Norway). While it is true that our resources are finite, they are in most cases also very abundant, although if one takes the view, as I do, that the world will move over time to decarbonise its energy generation sector, then there will be a question mark, long term to be sure, over at least our thermal coal industry. This would suggest a stablisation horizon was more appropriate, however such a fund could combine both objectives with a portion of the fund earmarked for very long term savings. A simple rule for inflows into such a fund would be to require all budget surpluses be transferred to it. Outflows could be limited to investments in long-lived physical or human capital, and permitted only during periods when the economy’s output is below potential (there are idle resources). A requirement to hold offshore assets might well provide useful hedging or currency sterilization properties, but this would require careful study. Clearly, such a fund could only become operational after the Budget was back in surplus and the debt accumulated during the period of Labor Government paid off - there would be no point putting funds aside in a stabilization fund but continuing to borrow or carry debt. less volatile or more predictable. All of us know the value of savings targets whether it is a child's money box or a family's super funds. Governments enjoying surpluses have a very strong temptation to splash money around and while tax cuts are always appealing, cutting taxes at the top of a boom run the real risk of creating a structural deficit when the boom subsides. A national savings fund of this kind would become a matter of real national pride, evidence that we have the discipline and vision to recognise that good times don't last forever, that demographic changes will place greater demands on future budgets and that thrift is both virtuous and prudent. Nonetheless, according to the forward estimates, we are many years away from being debt-free, despite the resources boom. So perhaps as important as committing to a stabilization fund, given Australia’s current circumstances, is the urgent need for an authoritative, independent and clear understanding of what the nation’s real fiscal position is, after adjusting for the record terms of trade (and understanding such a calculation would require assumptions about future terms of trade). The Rudd Government took a stab at this in the 2009-10 Budget - or to be more specific, its ministers accused John Howard and Peter Costello of negligence in handling the early part of the resources boom and allegedly creating a large structural deficit. This claim was based on a single graph in the Budget papers, and the Treasury reckoning behind it never revealed. Intriguingly, in October last year Treasury’s Macroeconomic Group quietly released what appeared to be a revision of the earlier work on the structural deficit, this time making its calculations transparent. The paper includes a graph of estimated revenue generated by high recent terms of trade. These estimates assume the new ‘structural‘ or normal terms of trade are 20 per cent above their average over the past thirty years - or about where they were in 2004-05. Treasury’s revised estimates suggest only the final 2007-08 Coalition was in ‘structural deficit’ (by only 0.5 per cent of GDP) and undermine most of the alarming allegations made against Mr Howard and Mr Costello around the time of the 2009 Budget. As for claims of squandering the boom, the paper shows the terms of trade generating only $25 billion during Peter Costello’s three last-term budgets - not an insignificant sum, but less than half the $51 billion in surpluses over those years. In contrast, Treasury now calculates that the resources boom generated revenue windfalls of approximately $65 billion during Labor’s first three years. Of course every cent and more was spent. Treasury also projects another $30 billion will be tipped into the coffers by the boom in 2011-12 - but when Wayne Swan delivers the 2011-12 Budget on May 10, you can safely bet every cent of that will be spent too. Indeed, the paper estimates the Budget will not return to structural surplus until 2019-20 - more than a decade after the brief downturn the Government uses to justify its profligacy, and despite windfall revenues from the highest sustained commodity prices in history. The work done in the Macroeconomics Group Paper just referred to needs to be elaborated and debated as part of this year's Budget Papers. Until Australian taxpayers are provided with honest and transparent information about how the current resources boom is affecting the Budget, it is very difficult to have a meaningful debate about saving its proceeds for the future. If we think back to the 1980s and 1990s, Australia’s ‘old economy’ reliance upon agricultural and resource exports and declining terms of trade were perceived as key weaknesses by investors in New York or London. Today’s lofty commodity prices were unimaginable. The notion that per capita GDP at market exchange rates in Australia could be 15 per cent higher than in the United States, as it was in 2010, was ridiculous. It was only after two decades of difficult reforms and pessimism over our prospects that Australia was in the right place with the right resources, expertise and economic flexibility to take advantage of the unexpected commodities boom of the early 21st century. The lesson is that the global economy is changing more quickly than ever before, often in quite unexpected ways. There is no room for complacency because the next shift may present adversity rather than opportunity. Saving more of the income generated by the commodities boom, planning for the possibility that the boom ends, and determining the true position of our Budget if it does are all appropriate ways to enhance our future prosperity and hedge our risks. Carbon tax. "We'll be rooned" What crap. Once we knew maths. A trainer's lament. Good news. Uranium is safe.